It may seem difficult today to imagine the South leading the nation in the economic and social reforms that Terry Sanford had in mind. But when Sanford, then the president of Duke University, spoke those words to a gathering of progressive (white) Southerners, hope seemed on the horizon. The civil rights catharsis of the 1960s had borne fruit in laws expanding blacks’ political participation and educational opportunities, the horror of the Vietnam War was winding down as U.S. troops returned home in stages, and the South entered a period of economic renewal. Nearly 50 years later—looked at from the perspective of Southerners who knew their region as the home of segregation, poverty, and injustice—the South appears better off, having made progress in reducing poverty, diversifying the economy, and improving educational attainment. 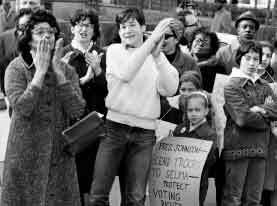 Some advances resulted from broadening attitudes that Sanford hoped would prevail as he became a role-model for political and civic leaders—Democratic and Republican—who sought to chart a post-Jim Crow future of civic inclusion and economic advancement by turning their attention to eliminating illiteracy, recruiting industry, and managing government to solve problems. Progress also resulted from newly elected black office-holders, ministers, and grassroots organizers who engaged in the democratic process—and sometimes continued to protest. They used the levers of the political parties and of Congress, state legislatures, and local school boards to push “progressive” politicians to respond to the needs and aspirations of Southerners who had previously been left behind. One indicator of their success came in the milestone election in 1972 of Barbara Jordan of Texas and Andrew Young of Georgia to the U.S. House. But, as Wilkerson notes, forces of resistance and retrenchment were at work as well. Lingering racial resentments also found a political voice that limited public investment in public institutions. What’s more, an era of economic shifts made life more vulnerable for one-industry small towns and adults without education beyond high school. Debilitating disparities may have narrowed, but haven’t gone away, such that the South now is better off than it was 50 years ago, but not nearly good enough for the 21st century. 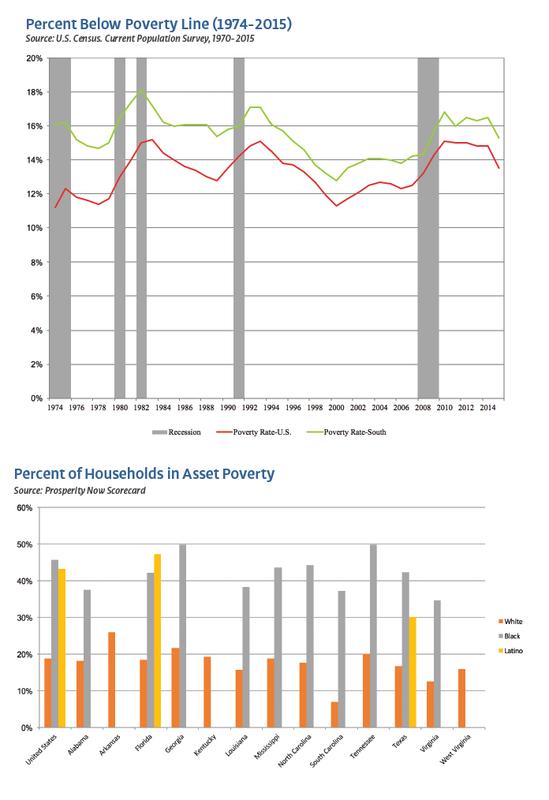 Sharp racial disparities in poverty, wealth accumulation, and education remain. Many of the people who were not well-served by the South’s formula for progress remain stalled at the bottom. There are widening gaps between those who were able to climb the ladder of economic mobility and those who weren’t. From the perspective of where we want to be, we are not moving ahead fast enough, and in some ways, we’re moving backward. And new challenges face us: immigration, climate vulnerability, incarceration, and more subtle forms of Jim Crow. Civic discourse has coarsened, sometimes leaving us inadequate mechanisms to bridge the fault lines of race, class, and ideology. With the rise of social media and instant communications, people left behind have been able to speak up, be heard, and mobilize in a way not seen since movements of the 1960s. But so have the successors to those who opposed the South envisioned by Sanford and others. The South of today is a different place than the South of five decades ago. The dismantling of legalized racial discrimination helped position the South for a quarter-century of robust population and job growth—growth that, in turn, had political and cultural ramifications. Through the last quarter of the 20th century, Southern commentators often remarked on the Americanization of the South—and the Southernization of America. Today, even with its enduring distinctiveness in music and food, as well as cultural attitudes, the South is more like the rest of the United States than ever. The South is no longer, as Sanford said in 1971, the “backward child” of America. The region has more affluence, a more diverse economy with a potent corporate sector, a stronger middle class (blacks and Latinos as well as whites), better schools, health care, and transportation than it did 50 years ago. And yet its greater-than-ever prosperity is not widely or evenly shared. Poverty rates among African Americans, which hovered in the 40-50 percent range in the 1960s, have been reduced in most states to 25-30 percent. Still, too many Southern people and places fail to flourish. Developments over the past decade or so seem to have sapped the wherewithal to continue advancing and the will to extend to all Southerners the benefits that some are enjoying. We need to examine formulas for progress and equity that apply to today’s conditions. By asking why progress has stalled, Southerners can begin to apply their civic energy and entrepreneurial spirit to rebuilding state and local capacity to address inequities and economic distress. This chapter, which seeks to synthesize the demographic, economic and social arc of the South since the late 1960s, is offered in the conviction that the South can and must summon the will to give its citizens options and opportunities to thrive in a fast-changing economy, to enrich themselves with a sense of belonging to family and community, to connect through bridging institutions that bring disparate people together, and to contribute to an inclusive society through work and public life. Debilitating disparities may have narrowed, but haven’t gone away, such that the South now is better off than it was 50 years ago, but not nearly good enough for the 21st century. Once the South got past the petroleum squeeze and “stag-flation’’ of the mid-1970s, the region entered what an earlier State of the South report called its “gilded age.” In the 1980s and ’90s, the South outpaced the nation in population growth and jobs. Between 1987 and 2007, the South added more than 20 million jobs. Over these two decades, the South’s per capita income rose from just above $20,000 to nearly $29,000 (in inflation-adjusted dollars). Simultaneously, its aggregate poverty rate (including whites, blacks and Latinos) fell from 18 percent to below 14 percent. And yet, through its two decades of economic expansion, the South remained below the nation in income and above the nation in poverty. The “gilded age’’ came to an end with the national recession of 2000–01 and, even more damaging, the Great Recession of 2008–09, which, in retrospect, hit the region harder than it may have seemed at the time. The South lost more than two million jobs between January 2008 and September 2009, many in old-line, lower-wage manufacturing. During what was termed the “lost decade,” the South’s per capita income declined and poverty rose until 2015, when the long, slow recovery produced a modest comeback in income and poverty alleviation. Still, in states across the South, black and Latino populations have higher rates of poverty than their white counterparts, frequently as much as 20 percentage points higher. For many Southerners and their communities, economic disruption intensified stress as the old, stratified society gave way to a more fluid and dynamic world. The disappearance of middle-skill jobs and the erosion of middle-class earnings spread anxiety, not limited to any race or ethnic group. Income inequality widened, and even major metropolitan areas failed to propel upward mobility among young, low-income people. Not only economic disruption, but also social and demographic change produced alienation. The fault line of race may have narrowed but didn’t vanish, even as more Hispanics and Asians made their homes in the region. Many African Americans still felt disenfranchised. And many white Southerners felt that their world had eroded under them; as Arlie Russell Hochschild writes in capturing the theme of her book about South Louisiana, Strangers in Their Own Land, “the shifting moral qualifications for the American Dream had turned them into strangers in their own land, afraid resentful, displaced, and dismissed by the very people who were, they felt, cutting in line.” The South’s history, and current state of economic inequality, environmental devastation, and racism have contributed to the entrenchment of deeply held attitudes, beliefs, and assumptions about who deserves which socioeconomic position, and who does or does not deserve support along their path to success. The South’s public life suffers, as does the nation’s, from polarization between political partisans, between big cities and small towns, between class and racial segregation of nearby neighborhoods. Given these challenges, the South today is not an altogether happy place. The so-called “happiness’’ ratings, derived from an annual Gallup-Healthways survey, offer evidence of division and estrangement. Based on 177,000 interviews in 2016, the Gallup-Healthways survey produced a state-by-state well-being index based not only on physical and financial indicators but also on personal and community relationships. Texas and Florida ranked among the top states, with Virginia, North Carolina, South Carolina and Georgia in the middle ranks. Six states—Mississippi, Louisiana, Alabama, Arkansas, Kentucky and West Virginia—fell into the bottom 10. 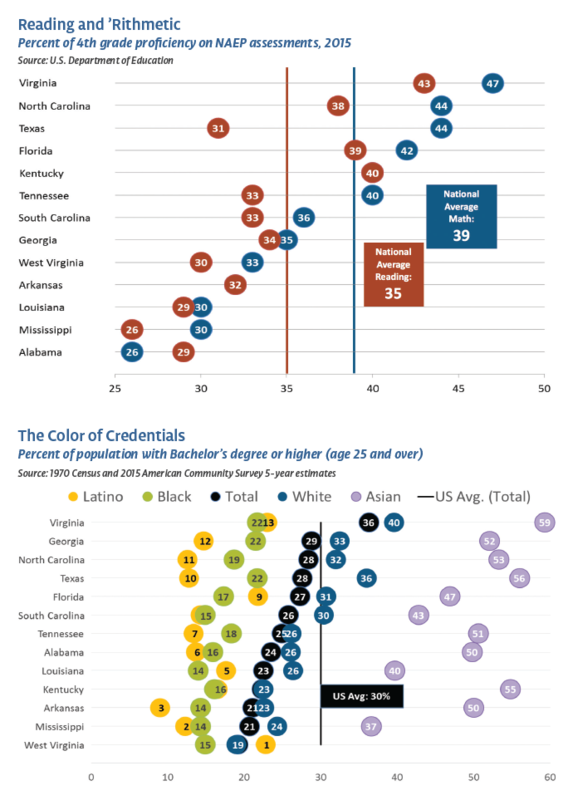 Perhaps even more revealing is a survey released in fall 2017 by PRRI, a nonprofit research organization that focuses on religion and public life. Its survey of more than 3,400 Americans took a special look at the Southeast and Southwest. Its findings point to dramatic differences in perceptions across racial lines during the 2016 election year and afterwards. No doubt, black and white Southerners may have different reasons for feeling like a stranger in their own land. And yet, in a region that values a sense of place, and where whites and blacks have felt “at home’’ for generations—though with very different points of view—understanding the widespread estrangement and working to mitigate it in our states and communities are essential to moving forward, even as the bi-racial past becomes a multi-racial future. The South shares in, and contributes to, both the strengths and fractures of the nation. Southern states and communities do not move these days in the same direction or at the same speed. The recession-recovery has privileged several of the region’s metro areas, strengthened them as modern “city-states,” while it has left scores of rural communities struggling with population decline. To be sure, the South has not blossomed into all that “New South’’ proponents hoped for in the 1960-70s transition. Still, the past 50 years have shown the region’s ability to adapt to change, to lower barriers and respond to its people’s needs. As a whole, Southern schools, colleges, and universities are better than ever, though in constant need of improvement to meet the demands of both democracy and capitalism. However, most states still lag the national average in K–12 achievement, and blacks and Latinos lag in postsecondary degree attainment—a threshold that is increasingly necessary to attain family-sustaining wages. Southern communities have the benefits of modern medicine and hospitals, networks of well-trained providers, and improved public health programs. For example, Birmingham and Durham, once centers of old-industry manufacturing, have transformed themselves into centers of modern medicine. And yet, millions of Southerners still lack adequate health insurance. The failure to expand Medicaid in states across the South has not only made it difficult for patients to receive and afford care, but for hospitals to keep their doors open. The number of rural hospital closings is rising, according to the National Rural Health Association, often in areas with the poorest health, signaling the prospect of health care deserts. Charleston, Biloxi, and New Orleans have largely recovered from devastating storms of a decade or more ago, even as several Texas and Florida cities were hit hard by hurricanes in 2017. Yet the South’s vast coast, enjoyed by residents and vacationers, is increasingly vulnerable to intense storms and to sea-level rise, threatening both trade and tourism. The American South has 54 million more residents today than five decades ago. The 13 states that MDC defines as the South accounted for 45 percent of total U.S. population growth since 1970 (note that while data for The State of the South covers 13 states, the Southeastern Council of Foundations includes 11 states, but not Texas and West Virginia). States along the Atlantic seaboard, as well as Texas, have grown more robustly than states of the inner-South. 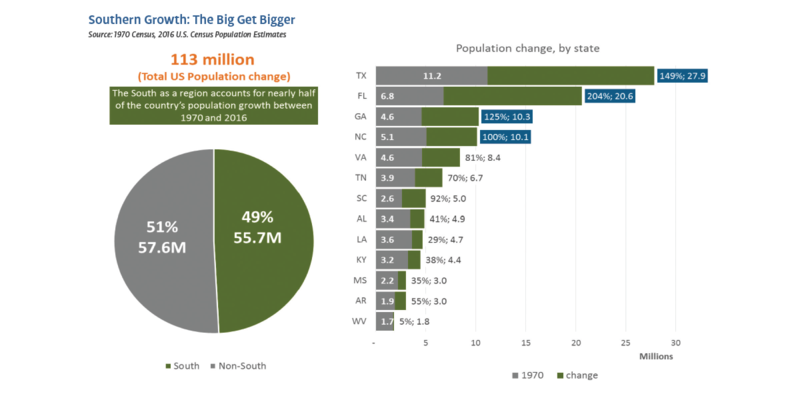 Texas, Florida, Georgia and North Carolina all have more than doubled in size and account for three-fourths of the region’s population growth during this period. The scale of population growth suggests a sweeping regional transformation—while the details of that growth tell an even more dramatic story. Of course, some growth comes naturally, with births exceeding deaths as people live longer lives. In terms of the South’s development, even more important are the shifts that arise from the mobility of American society, as people move from one state to another, from a small town to a city, from a city to a retirement community. As its supply of jobs expanded, the South became an importer of talent. College-educated Americans, whites and blacks, moved in. Although racial gaps in income persisted, significant increases across the board cultivated an expanding black middle class. Hispanics dispersed beyond Texas and Florida. The population surge of its fastest-growing states has largely been driven by in-migration from other states and immigration from other nations. The South’s strong-growth states have out-paced the slower-growth states in importing talent. In 2015, 64 percent of Florida’s population was born in another state, while slower-growth states like Kentucky and Mississippi’s out-of-state population hovers around 30 percent. In North Carolina, four out of 10 of its current residents were born outside the state. Today, 7.7 percent of North Carolina’s population of 10 million were foreign-born, up from .6 percent of its 5.2 million population in 1970. UNC-Chapel Hill demographer Rebecca Tippett has pointed out that 17 North Carolina counties have more residents born elsewhere than native-born, and its talent gains are more from in-migrants than its education system. Born-elsewhere Southerners have been attracted by jobs, educational opportunities, and quality-of-life factors. The strong-growth states face challenges in building and sustaining a sense of belonging to communities filled with highly mobile people. Slower-growth states surely retain residents who feel at home in their own town or city. To elevate their economies and spread prosperity, these states have to rely on—and educate more of—their own, at-home citizens to meet the talent deficits that immigration is not erasing. Growth both follows and attracts talent. We need to examine formulas for progress and equity that apply to today’s conditions. By asking why progress has stalled, Southerners can begin to apply their civic energy and entrepreneurial spirit to rebuilding state and local capacity to address inequities and economic distress. Frey identified Atlanta, Charlotte, Miami, Houston, and Dallas as major “metropolitan magnets’’ for blacks in-migrating to the South. And he has pointed out that more than half of African Americans in large metropolitan areas now reside in suburbs, rather than the center of cities. 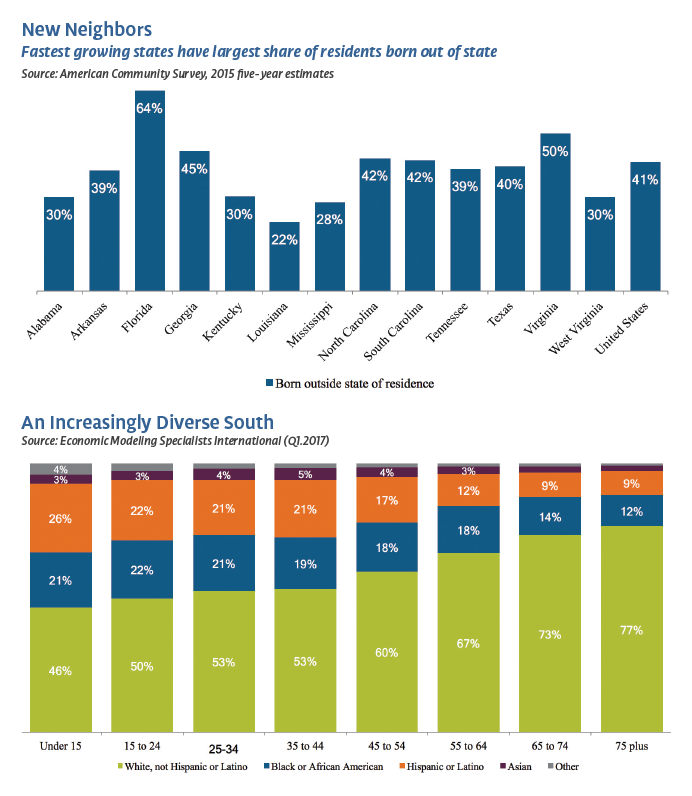 The South has shifted from a bi-racial to a multi-ethnic region. The arrival of immigrants from Mexico, Central America, and Asia, as well as the births of children to immigrants, has contributed to population growth and mitigated the overall aging of the region. The younger, more diverse South of today starkly contrasts with the older generation of the region. While 77 percent of Southern adults over 75 identify as white, only 46 percent of Southern children under 15 identify similarly. In 1970, only two states had sizable foreign-born populations—Florida at 8 percent and Texas at 2.8 percent of their total. All others in the South had well below 100,000 foreign-born residents. Now all states, except West Virginia and Mississippi, have more than 100,000 foreign-born residents. And the fast-growing states have become the most robustly multi-ethnic—Florida nearly 20 percent foreign-born, Texas about 17 percent, Virginia more than 11 percent, Georgia nearly 10 percent, and North Carolina about 8 percent. Further diversity appears clearly in store. Among Southern children and teenagers, now about half are white. Blacks, Latinos and Asians together add up to nearly half. Currently, only Texas among Southern states has a majority-minority population. The “States of Change’’ paper issued by the Center for American Progress in 2015 projects that Florida and Georgia will become majority-minority in the 2020s, Louisiana in the 2030s, Mississippi and Virginia in the 2040s and North Carolina in 2050. Diversity presents opportunity and test the old bi-racial culture to adapt and become a welcoming, inclusive society. Diversity is different than inclusion, however. Though the South’s population is increasingly nonwhite, disproportionately large numbers of black Southerners are missing from their communities due to the scope and severity of mass incarceration in the South. The scene for mass incarceration was set in 1865 with the passing of the 13th amendment, Ava DuVernay argues in her documentary 13th, which abolished slavery in the U.S. “except as punishment for crime.” But the widespread institutional practice particularly picked up steam in the 1970s. From the 1970s through the 1990s, the U.S. incarceration rate doubled each decade, and mass incarceration and other forms of correctional control, such as parole and probation, are particularly pronounced in the South. According to 2016 data from the Prison Policy Initiative, 11 out of 13 Southern states incarcerate their residents at a higher rate than that of the U.S. average (693 people per 100,000), with seven of those 11 incarcerating more than 800 people per 100,000. As of 2016, Louisiana incarcerated residents at the highest rate across the South, putting 1,143 people per 100,000 behind bars, despite recent statewide attempts to lower prison populations by decreasing jail and prison time for nonviolent crimes. Widening the lens to consider parole and probation as well as those in jails and prisons, seven of 13 Southern states exceed the U.S. average rate of correction control (2,111 people per 100,000.) Georgia far outpaces this rate, with 5,828 people per 100,000 under some form of correctional control as of 2016. When examined by race rather than in total, the inequities present in the South’s systems of correctional control are alarming. According to 2016 data from the U.S. Department of Justice, black populations across Southern states—and in the U.S. overall—are incarcerated at disproportionately high rates relative to their white counterparts. For example, in Texas, as many as over 1,800 black people per 100,000 of the total population are incarcerated, as opposed to about 450 white people and 550 Hispanic/Latino individuals. In Louisiana, over 1,700 black people per 100,000 of the total population are incarcerated, compared to about 400 of white people and 50 Hispanic/Latino individuals. The intergenerational, crippling effects of slavery are echoed in the South’s current incarceration practices, which often function to limit employment, education, civic participation, and housing options, as well as physical and mental well-being. Though the South is increasingly racially and ethnically diverse, institutional practices like those found in federal and state criminal justice systems can function to limit the reality of diverse inclusion in the growth and pockets of prosperity present in the South. The movement from a rural to a metropolitan-dominant region had just picked up steam in the early 1970s. Through the last quarter of the 20th century, that dynamic accelerated to change the face of the region. Today’s South contains one-third of the nation’s 100 most populous metro areas, and five of the top 10: Dallas, Houston, Washington, D.C. (includes Virginia suburbs), Miami and Atlanta. Since 1970, the South’s metropolitan population has increased by nearly 50 percent. In the early ’70s, 61 percent of Southerners lived in a metro county; now 75 percent live in a metropolitan setting. Especially since the Great Recession, a collection of expanding metro areas has served as the South’s most potent economic drivers. Repositories of entertainment, art, and culture, cities and their surrounding suburbs attract people with ideas and with money to invest in them. As they have attracted the “creative class,’’ Southern metro areas have also exerted a magnetic pull on people needed to fill burgeoning retail, service and maintenance jobs. Thus, the region’s metro areas find themselves divided among the affluent, a stressed middle class, and the struggling poor and near-poor. In 1986, MDC published “Shadows in the Sunbelt,” highlighting pockets of economic distress amid the “Sunbelt’’ surge. It described those areas mostly as rural communities left behind by the shift of people and jobs to the cities. Now the South has “shadows’’ of fragility and disparity just a few city blocks away from high-rise office and condo towers. The phenomenon of increased growth and expanding inequality complicates the South’s path toward inclusive, sustained economic prosperity. The Brookings Institution defines inclusive growth as a condition “when all segments of society share in the benefits of economic growth.” To this end, they track progress by assessing the extent to which communities support growth (size of the economy), prosperity (productivity and standard of living), and inclusion (broad-based opportunity and narrowed economic disparity) in their economic development efforts. Among the 100 largest U.S. metropolitan areas, only two communities in the South—Austin, Texas, and Charleston, S.C.—are achieving growth, prosperity, and inclusive economic outcomes that improve conditions for both white people and people of color. This regional growth and prosperity, matched with limited inclusion of historically disadvantaged populations, will likely exacerbate social fissures produced by shifting demographics and increased income inequality. Simultaneously, Southern states face excruciatingly difficult choices in addressing human needs in rural communities, some holding on, some dwindling. To what extent should state governments try to “save’’ small towns, or manage decline? Rural places have varying characteristics—some are amenity-rich and some have extractive economies; some are near vibrant regions, some are isolated. Some, to be sure, have shown remarkable resilience, especially those near metro areas, along major highways, and those blessed with natural beauty that attracts retirees and visitors. And yet, across the South, many small towns have lost their economic bases in manufacturing and mining and struggle with discouragement at best, and opioid addiction and suicide at worst. Southern history is full of rivalry between city and countryside, as well as mutual dependence. In recent years, several Southern states have implemented rural development policies and programs, often overwhelmed by the powerful forces of globalization and technology. Now the challenge for the South is not to set city against countryside anew, but rather to assure that its most powerful economic engines remain in tune and powerful. 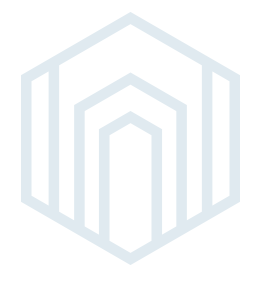 A related issue is whether the South can figure out how to deploy metropolitan “hubs” as catalysts for regional economic advancement—that is, to connect rural people and communities to the metropolitan economies in ways that serve both city and countryside. In addition, rural regions across the South can work to connect educational, workforce, and economic development partners with the business community to re-energize the economic base. This connection of the “arc of growth” and the “arc of opportunity,” is described by the Funder’s Network for Growth and Livable Communities and the Federal Reserve Banks of Atlanta, Boston, Chicago, and New York in a report on how funders can help revitalize local economies through place-based strategies. 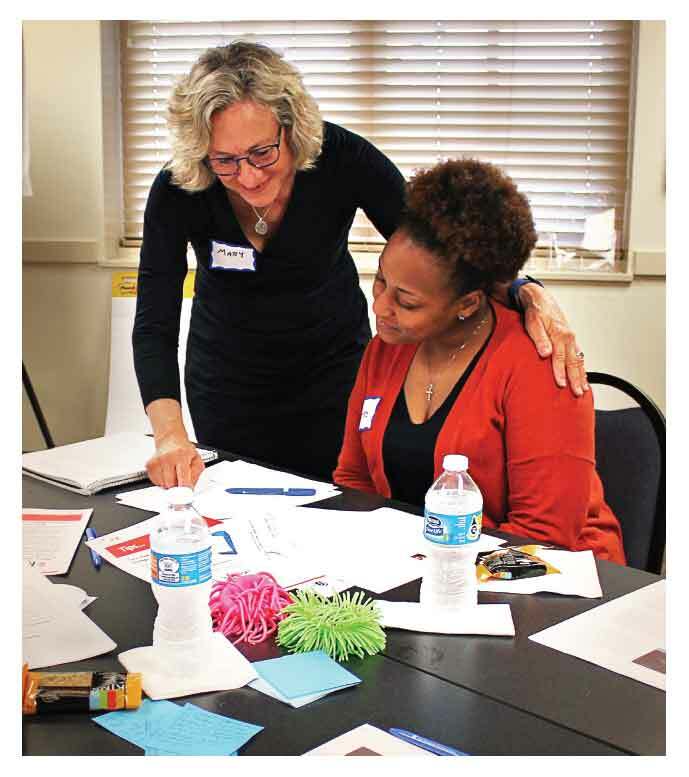 Connecting the arcs creates strong and durable career pathways that connect people to current and emerging career options that pay a meaningful wage, while exposing the next generation to the competencies and skills required to create the well-paying jobs of the future. The significant increase in Southern adults with a BA degree and above also has resulted from in-migration along with the region’s own output of college degrees. In every state in the region, born-elsewhere residents exceed born-in-state residents in the percentage with a bachelor’s degree or higher. For the last third of the 20th century, the South played catch-up in education. After all, the school segregation of the previous era was, in effect, a purposeful public policy to provide an inadequate education to a large segment of the region’s young people. Through the 1960s, and in subsequent decades, the South got pulled along in the national momentum to forge a more educated nation. In 1940, when the Census Bureau started collecting educational attainment data, three out of four American adults had not completed, or didn’t go to, high school. By 1967, adults without a high school diploma had dropped to five out of 10, then plummeted to one out of 10 in 2015. In the Southern states, adults who have completed high school range between 88 percent and 82 percent. Fourth- and eighth-grade scores in math and reading in several Southern states on the 2015 National Assessment of Education Progress (NAEP) exceeded the national average—North Carolina, Florida, Texas, Virginia and Kentucky for fourth graders; Kentucky, Virginia and Texas for eighth graders. Several of the inner-South states consistently scored below the national average. Improvements in K–12 education resulted from federal judges who issued desegregation orders, federal financing for schools with high enrollment of students from low-income families, a business community persistently concerned about a skills-gap, the expansion of jobs attracting residents from elsewhere, and “New South’’ governors and state legislators who adopted school reform and accountability measures. 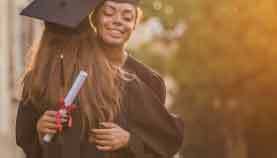 Adults with a bachelor’s degree in the South rose from a mere 5 percent during World War II to more than 33 percent today. The region’s turn-around resulted from an array of forces: The post-war GI Bill, the National Defense Loan program, and later Pell Grants fostered a dramatic increase in college-going, and federal research grants strengthened universities in the South as elsewhere—though African Americans were often excluded from these programs. 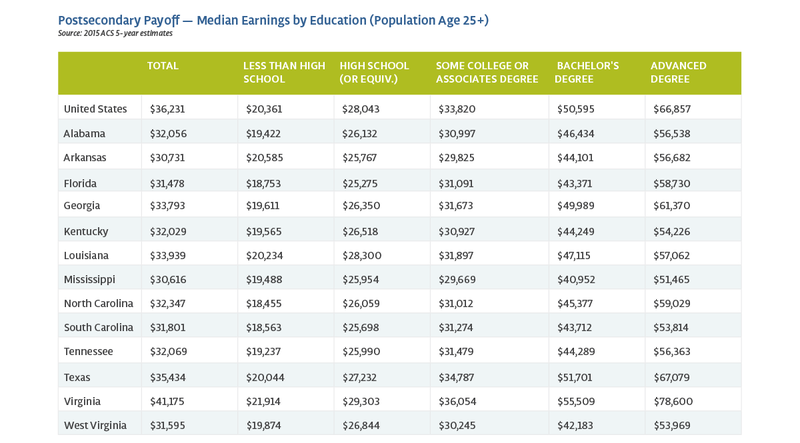 And data is clear that the more postsecondary education a person has, the higher their earnings are likely to be. The significant increase in Southern adults with a BA degree and above also has resulted from in-migration along with the region’s own output of college degrees. In every state in the region, born-elsewhere residents exceed born-in-state residents in the percentage with a bachelor’s degree or higher. In Virginia, for example, 45 percent of its born-out-of-state population had a bachelor’s degree or higher in 2015, compared with just 22 percent of the born-in-state population. 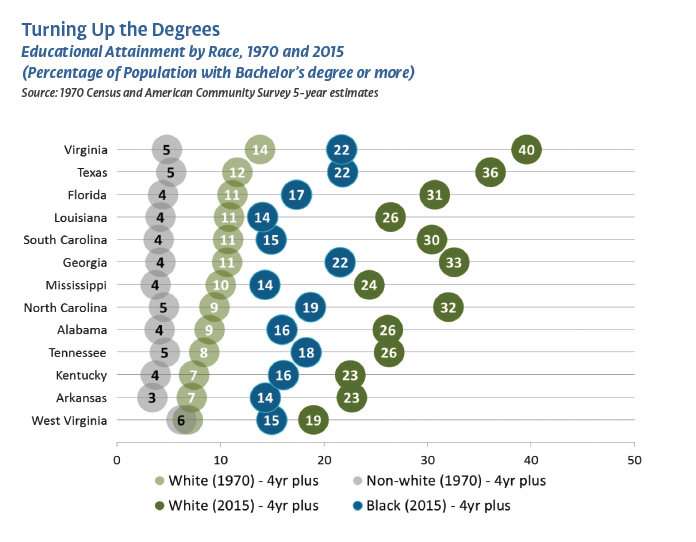 Yet, while a larger percentage of whites and African Americans now receive postsecondary credentials, the disparities among whites and African Americans has grown in most Southern states. The number of white Southerners who earn bachelor’s degrees has more than tripled since 1970 in every state except Mississippi and West Virginia (which have more than doubled). The percentage increase for African Americans is similar—but the percentage of African Americans with a BA is still significantly lower than white attainment levels because of a much lower starting point. The disparities are larger when disaggregated by gender. According to the Postsecondary National Policy Institute, college enrollment among African-American males grew at less than half the rate of their female counterparts between 1990 and 2008. Among Latino males, the rate was about two-thirds that of their female counterparts. Across the region, Southern states face major issues in determining the future of schooling, particularly from pre-Kindergarten through high school. Most states now have a mixed system of traditional public schools, government-funded charter schools, secular and religious private schools, and home schooling. Still, the public schools continue to educate eight out of 10 Southern young people. As states have expanded school choices, a decade of budgetary austerity has left most states with a lower relative level of public investment in public schools and higher education than before the Great Recession. Though it was not a specifically “Southern’’ law, the passage of Medicare and Medicaid as 1965 amendments to Social Security had an especially profound effect in expanding health insurance to elderly and impoverished Southerners. Medicare offers coverage from federal tax revenue, and like Social Security, it is not means-tested by income. Medicaid provides health insurance to lower-income people, especially women and children, and the elderly who exhaust their resources through long-term care—but its design is markedly different from Medicare. That design has made it politically contentious across the South over the past five decades. Medicaid is state-administered and requires states to match federal funds with their own tax revenues. Thus, Medicaid consumed a steadily increasing share of states’ budget as health care costs rose. And since Congress adopted the Affordable Care Act in 2010, nine of 13 Southern states declined to expand Medicaid under the law. A disproportionate share of U.S. citizens lacking health insurance comes from the South—of the uninsured, fully 48 percent live in these 13 states. As the Kaiser Family Foundation, a leading research organization on health, has reported, “Access to health coverage and care is important for Southerners, especially given the high prevalence of chronic health conditions in the South.” In the South are some of the states with the highest rates of heart disease, infant mortality, and cancer-deaths. 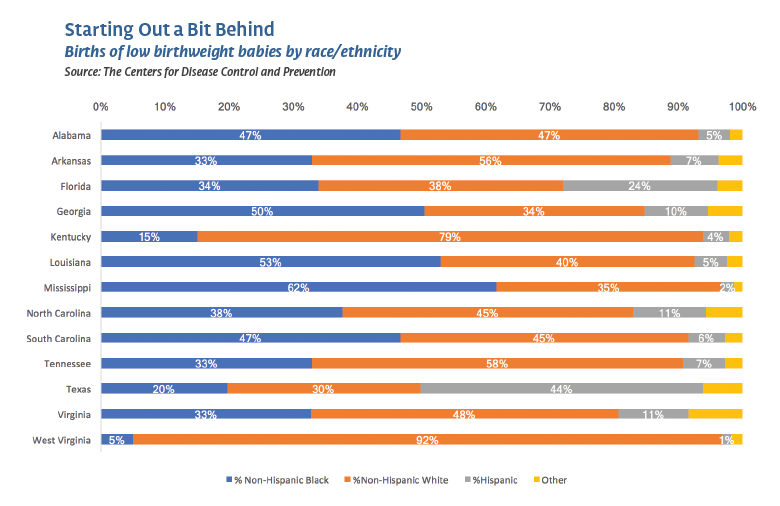 In most Southern states, the largest share of low-birth weight babies is born to women of color. In 2016, nine states had from 12 percent to 16 percent of its adults with diabetes—all in the South. Five Southern states—West Virginia, Louisiana, Alabama, Mississippi, and Arkansas—led the nation with adult obesity rates of 35 percent or above. The larger challenge for the South’s leaders and citizens is to create a narrative that invites full participation in creating shared and sustainable wellbeing that will serve us today and in the future. This is our region’s urgent, collective task. The “dueling strains” of politics that arose as the South negotiated its 1960s-70s transition continued to shape the political and policy landscape of the region over the succeeding four decades and into 2017-18. The Republican “Southern strategy” initiated by Richard Nixon’s 1968 campaign—appealing to white voters by tapping racial resentment—became so embedded that the South now serves as the essential regional base of the Republican Party. With the candidacy of Jimmy Carter, a farmer from a Deep South state who became a sensation in 1976, the South grew accustomed to subsequent candidates from the region. Following the presidencies of Ronald Reagan of California and George H.W. Bush of Texas, both of whom ran on a strong Southern base, the Democratic Party rebounded in 1992 with the so-called “Bubba-Bubba ticket” of Bill Clinton of Arkansas and Al Gore Jr. of Tennessee. Subsequently, George W. Bush of Texas won the presidency in 2000, when the U.S. Supreme Court ruled that he had slightly out-polled Gore in the disputed count in Florida. Eight years later, Democrat Barack Obama of Illinois swept to victory as the nation’s first black president. In 2008, Obama carried three states of the former Confederacy—Virginia, North Carolina, and Florida. In 2016, Republican Donald Trump of New York drew on abiding white voters’ discontent with the first black president and his agenda to implement nationalist policies that emphasize “law and order”; in the South, he carried every state except Virginia. While the South appears awash in Republican red on political maps, the region exemplifies the fractures, contentiousness, and uncertainties of American politics. There is a distinct racial divide in Southern politics, with the Republican electorate consisting of 90 percent or more white voters, and the Democratic Party featuring a biracial coalition. There is a distinct geographic divide, with Republicans stronger in rural places and suburbia, and Democrats ascendant in most of the region’s major cities. Potential voters in the Millennial generation appear only loosely connected to a political party. And the political leanings of Latino voters, who earlier split between Democrats and Republicans, are likely to be influenced by Republicans’ harder-line on undocumented residents. Florida, North Carolina, and Virginia have emerged as swing-state battlegrounds in presidential elections, and their elections for governor, U.S. Senator, and other statewide offices remain competitive for Democrats and Republicans. With their growth and diversity of population, Georgia and possibly Texas may join the ranks of swing-states in the near term. In 2017, Republicans held 10 of the governors’ offices in the region, and Democrats in three—Louisiana, Virginia, and North Carolina. Significantly, Republicans controlled the legislatures in every Southern state. The GOP’s power in the South since the Great Recession has made its long-held agenda—emphasizing tax cuts to stimulate the economy, tight budgets that have limited investment in public schools, colleges and universities, rejection of Medicaid expansion, and retrenchment on environmental regulations—dominant across the region. Now, for Democrats and Republicans, as well as Southerners who remain independent, the question is whether the region’s politics can be transformed, as it was in the late 1960s. Neither party has appealed to Southerners with a fresh agenda aligned with the 21st century need to build thriving, participatory communities amid the turbulence of technological advances, to address the continuous creation-and-destruction of jobs in a globalized economy, and to face the threats arising from environmental pressures. Whether and how Southern philanthropy can be a leader in ushering in a “new” New South are the questions underlying this report.